For today’s video I used a couple Decorative Scroll chipboard pieces from Maya Road, October Afternoon’s Farmhouse paper, and an embossing folder from Sizzix. 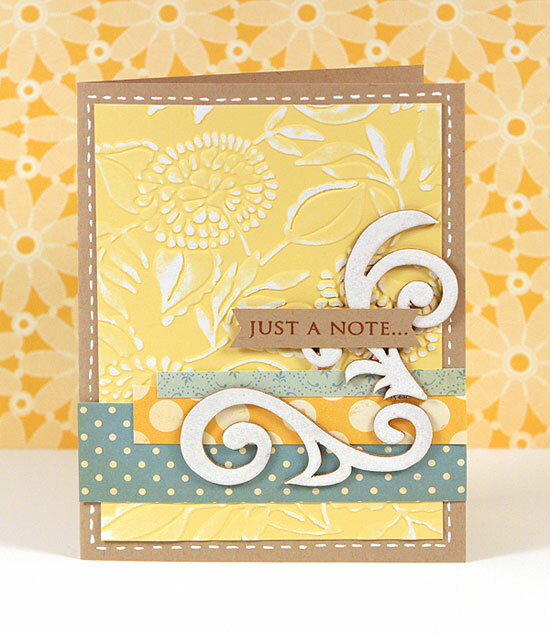 TIP: I used Hero Arts layering paper for the embossing. Because the paper only has color on the surface of the paper, you can use a sanding block to distress the embossing and reveal the white core of the paper. It really makes the design stand out. 3 New Reasons Why We Love Bo Bunny!